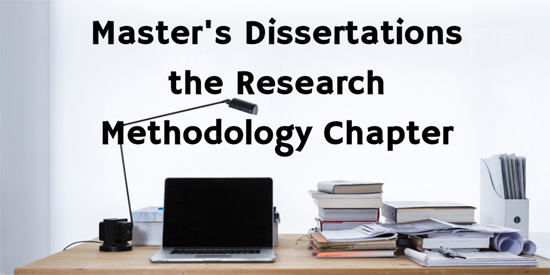 This blog will be looking at research methodology in a Master’s dissertation, but this will not be a full academic lecture on research methodologies, that would take several hours! However, it does give examples of what is required, and a structure to follow. Here is a short video clip giving an overview of the subject. Here are the three essential elements that must you must include in the research methodology chapter. There is no requirement to show a full academic understanding of every research method that exists. This is not a literature review on research methods! All that is required is an overall understanding of research approaches, and a justification for your chosen method. Inductive research starts with observations where patterns are identified suggesting a new theory. So Inductive research is about finding new theories from existing data. Whereas deductive research starts with a theory and proposes a hypothesis and takes observations to confirm this. These two approaches are a primary consideration at the start of the research methodology chapter. Secondly, there are two (three) main types of research. 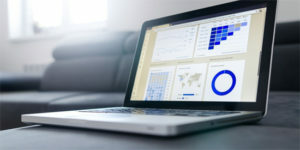 Quantitative research involves numbers, and data that can be presented in tables and graphs and possibly analysed using statistical analysis. If you go down this route you may need to understand, populations, and sample sizes in order to justify that your data is representative. Qualitative research is about opinions, understandings, and motivations. It will provide rich and contextualised information about the subject matter. Interviews – Who are you interviewing? How many interviews? What job roles? What format is the interview? What are the questions? Where did these questions come from? Questionnaires – How are you collecting data? What are the questions? Why are you asking these questions? Case studies – Why these case studies? How did you find these? Why not other case studies? Any questions posed should arise from the literature review chapter as important questions to ask, rather than appear to be plucked out of the air. Repeatability – If you asked the same questions 3 months later would the result be the same. Data Validity – why should the results be believed? Are we really measuring what we intend to measure? When you have chosen your research method you will need to investigate these terms to demonstrate that you understand them, and that your research method is sound. Why is the chosen method best for this research? Why are other research methods not so appropriate? What are the Advantages/Disadvantages of your chosen and other research methods? What are the Strengths/Weaknesses of your chosen method and other research methods? Please remember that one major requirement of Master’s level research is critical evaluation. So critically evaluate your chosen research method. You should state clearly how you are avoiding bias in your selected research approach. This is not a full lecture on research methods, but an example of what the research chapter needs to contain. This will include demonstrating an understanding of research methods, and selecting and justifying the chosen research method.